For someone like me who happily spends hours in my local camping and climbing stores, big exhibitions of outdoor gear are just like a whole bunch of Christmases coming at once. 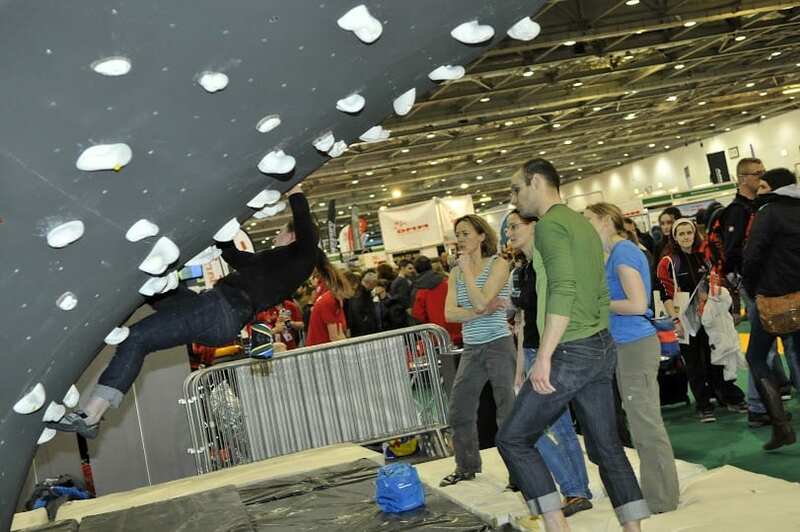 This year’s big show in London is the The Telegraph Outdoor Adventure & Travel Show which will take place at ExCel from 13-16 February. If you’ve never been to one of these shows you will probably be a bit blown away. The last one I attended was an amazing learning experience in that I got to talk with representatives selling gear from all over the world and got a good chance to take a look at some of the latest kit to hit the shelves. The Free Drop Experience is new for 2014 and allows visitors to feel the thrill of free fall by jumping from a 5m tall platform into a huge airbag! The Outdoor Photography Photo Box hosts talks from Britain’s best photographers on everything from wildlife and landscape photography to capturing that killer action shot. An Outdoors Store which will be run in partnership with Blacks to provide visitors with a real in-store experience at the show. A great range of clothing, footwear, gear and equipment will be available from top brands such as Jack Wolfskin, The North Face, Berghaus, Scarpa and Osprey. The World’s longest indoor zip wire at a 160m long. Plus, there will be two lines so adventurous visitors can race each other! On the Water zone focuses on providing visitors with all the information, advice and technique tips they need to safely and comfortably get active on the water whether it is sailing or kayaking.